Many people use hand held devices every time, imagining that neck problems occur at a particular time and place by a direct injury. This is untrue! 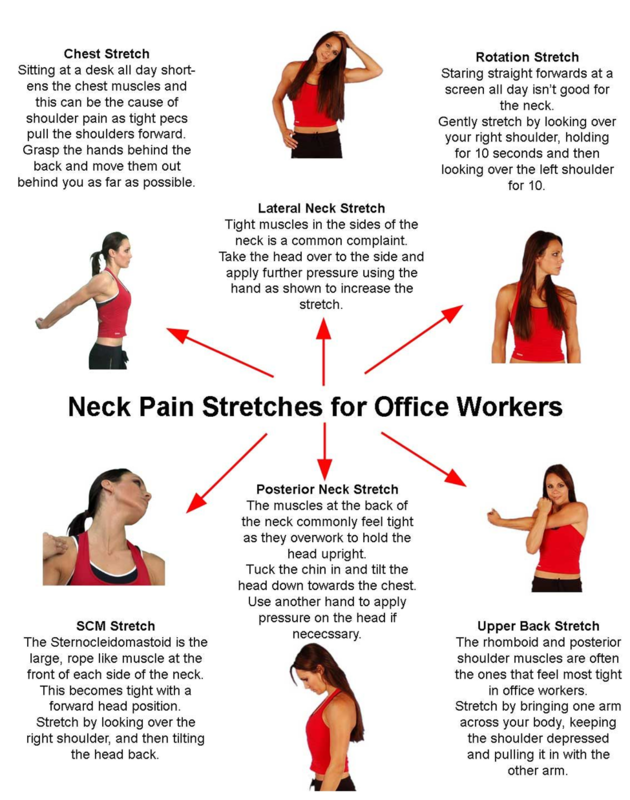 Neck problems are gradual triggered by sudden twist or stressful activity causing pain. It is true some are a result of single physical injury, cumulative effects of poor posture, faulty body mechanics, stressful living and working habits, loss of flexibility and general decline of physical fitness resulting to neck problems that cannot be managed effectively unless these factors are recognized and dealt with by a skilled physical therapist. 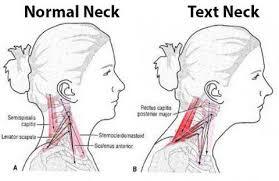 Text Neck is an overuse syndrome or a repetitive stress injury to the neck caused by holding your head in a forward and downward position for extended periods of time. This condition is a growing lifestyle and health condition with the constant growth in mobile user population all over the world. Apart from neck pain, it can also cause shoulder pain, upper back pain, headaches and increased curvature of the thoracic spine. When holding your head in this position, excessive amounts of tension are created in the deep muscles of your neck and across the shoulders causing both acute and chronic neck pain with chronic headaches linked to this condition. The increased prevalence of these pains is due to the increasing popularity and hours you spend on handheld devices such as smartphones, e-readers and tablets. When in an upright posture, when the ears are aligned with the centre of your shoulders, the weight of the average head exerts approximately 10-12lbs of force through the muscles of the neck. But when your head is moved forward by one 1 inch, away from this neutral position, the weight of your head dramatically increases. Approximately 6 times as much force can be generated!!! That is the same weight as an average 8 year old. Instant upper back or neck pain when using a handheld device. Intermittent or constant headaches made worse when looking down or using the computer. 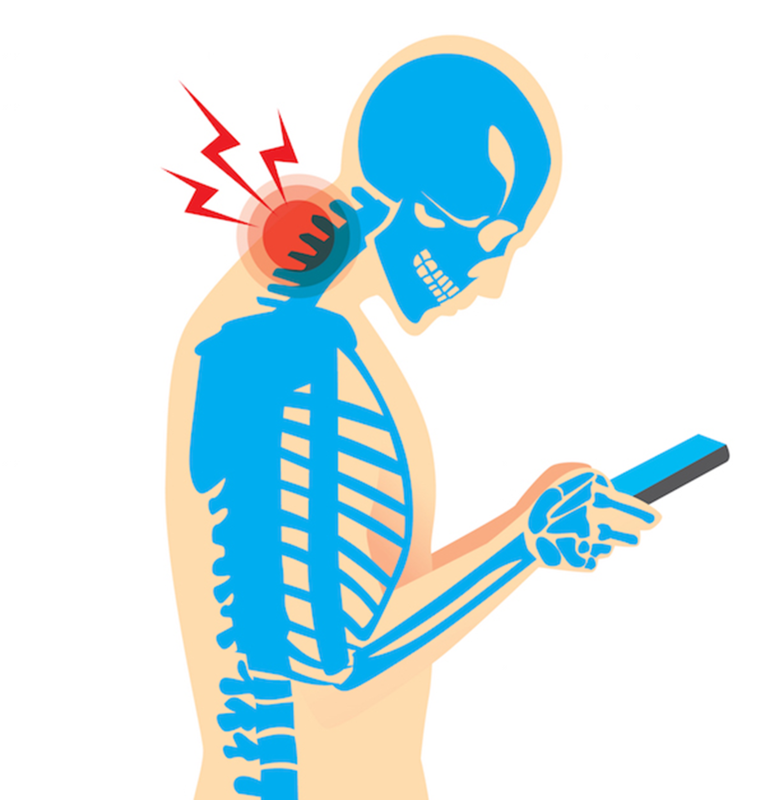 Text neck is conservatively managed by our physiotherapist. The main aims of treatment are to reduce the tension within the neck muscles, reduce the pain within your neck and address the postures that aggravate your symptoms. After our physiotherapist has assessed your lifestyle, posture and your neck structures they will confirm the main issues causing your neck pain. They will utilize a range of treatments in respect to following healing phases. ← Exercise And Mental Health.